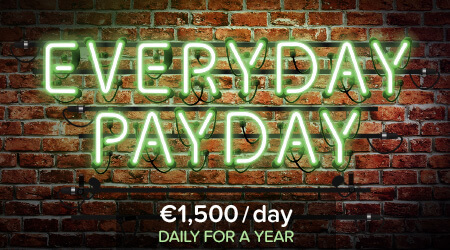 Get paid €1,500 every single day for the next year by matching the magic three symbols on the Everyday Payday scratchcard! You can give it a go now for just €2 per card! Return to player rated at 53.30%.